You know how potato chips are ridiculously addictive and it basically seems like a feat of superhuman strength to resist eating an entire bag once you’ve opened it and had one chip? Well we thought we’d take that addictiveness and make it the core part of this recipe…because why should we just use chips to dig into our tasty dip when we could put chips directly in the dip AND use them to scoop up tasty deliciousness?? That’s right, we went ahead and put some classic Lay’s potato chips right in our dip – the crunchy bites add the perfect amount of texture to a dish that’s usually smooth-ish, and that crunch is our absolute favorite part of this recipe. 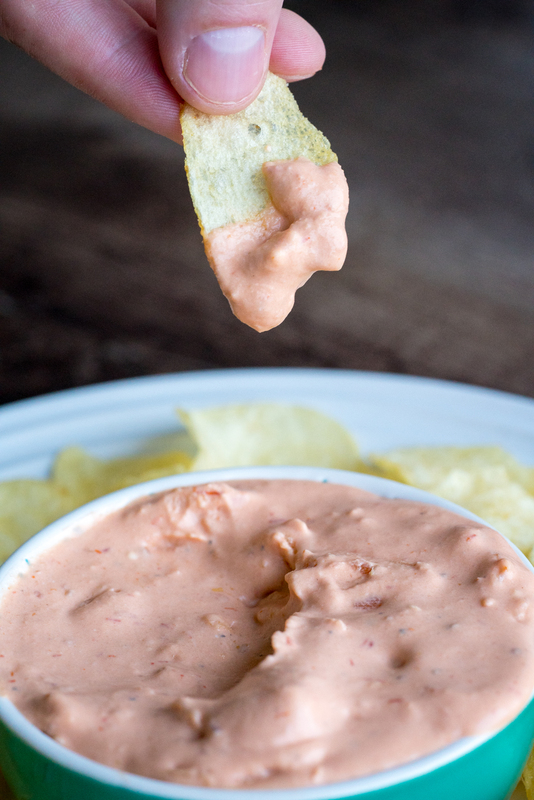 Apart from the potato chips, cream cheese and chili sauce make up the heart of the actual dip, seasoned with plenty of garlic and onion powder, so you end up getting tons of flavor and bite in every scoop. 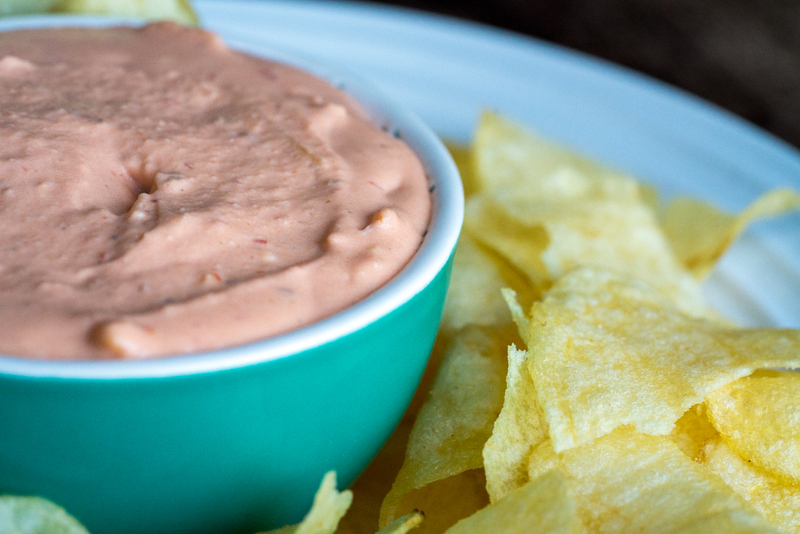 Not only does this dip taste amazing, it also comes together in a matter of (mere) minutes. Five main ingredients, plus salt and pepper, mean you can throw this together quickly and easily, making it the perfect choice any time you’re in a rush and need to bring something that’s lick-the-bowl-clean kind of good. Trust us, we’ve brought this to enough parties by now to know that it’s a show-stopping winner than everyone loves! In a large bowl or mixer, beat cream cheese for 2-3 minutes, or until fluffy. Beat in chili sauce, then season with onion and garlic powders, and season with salt and pepper. Refrigerate for 2 hours, or overnight. Before serving, fold 1 cup potato chips into dip, then transfer to serving bowl and serve with more chips.